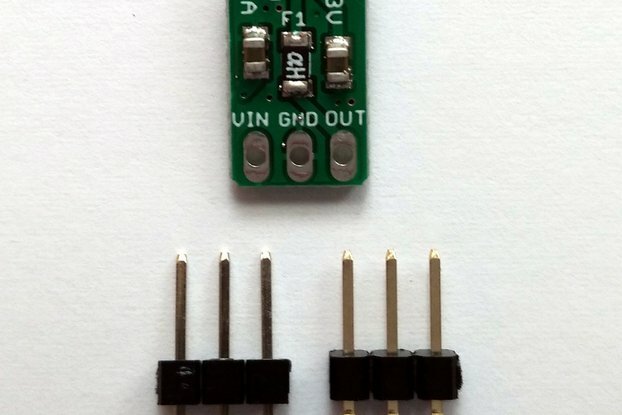 5v/1.5A 3-pin drop-in linear voltage regulator with onboard polyfuse, ferrite bead and input/output caps. 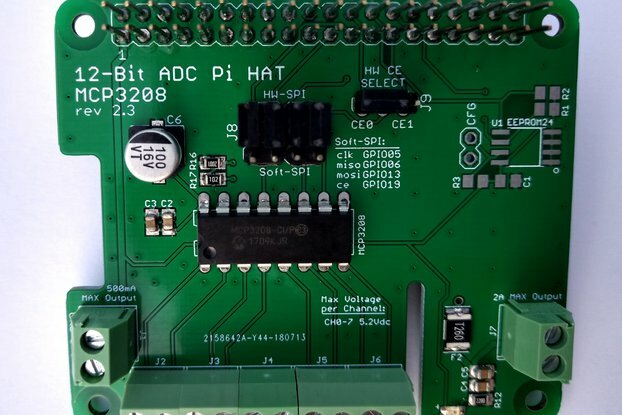 Replaces monolithic 3-pin ICs. 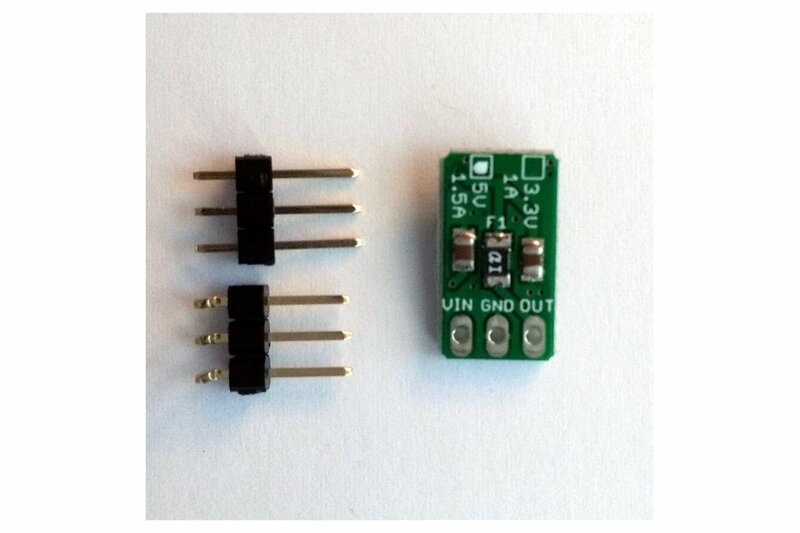 5v, 1.5A Low-Dropout Positive Fixed Voltage Regulator Module with on-board polyfuse in convenient 3-pin package. Based on the NCP1117 series of low dropout positive voltage regulators capable of providing an output current that is in excess of 1.0A (1.5A MAX at 12VDC supply) with a maximum dropout voltage of 1.2 V at 800mA with no minimum load requirement to maintain regulation. 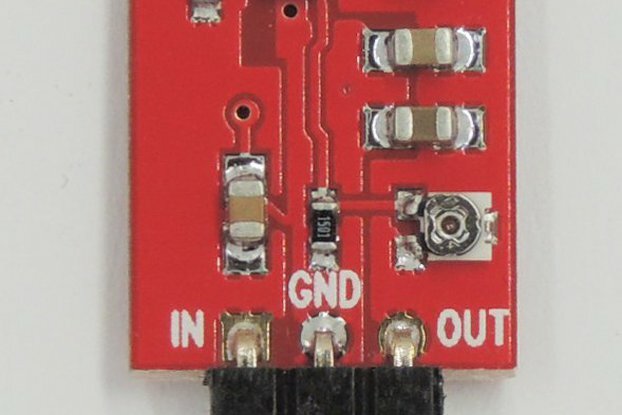 On chip trimming adjusts the reference/output voltage to within ±1.0% accuracy. Internal protection features consist of output current limiting, safe operating area compensation, and thermal shutdown. 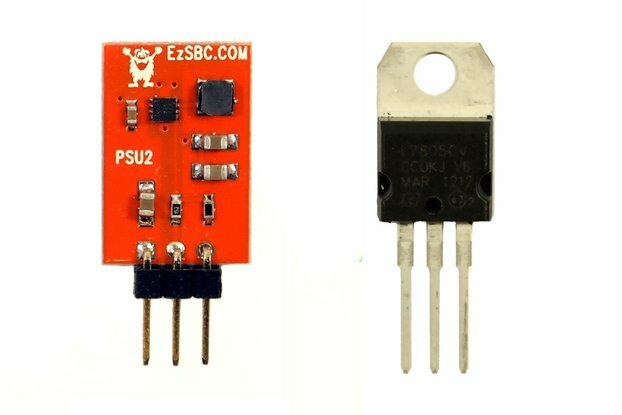 Combined into a tiny 3-pin module with standard VIN/GND/VOUT pin arrangement and 2.54mm-pitch header, with all supporting components (including a self-healing polyfuse) already onboard, this linear voltage regulator module is ideal for your next project. It can be used as a drop-in replacement for monolithic voltage regulator ICs, saving board real-estate and reducing component count. 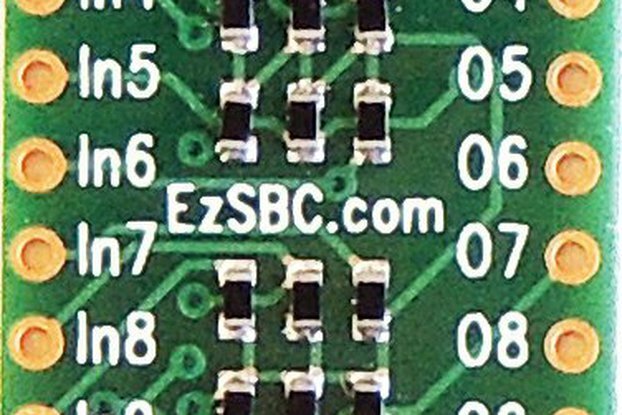 The header is breadboard-friendly and it includes all of the protection you will need for prototyping.